Path Around Building To Rear. Move right in - spacious 2 bed, 1.5 bath home just 3 blocks to Roslindale Village. 1 yo kitchen w new cabinetry, quartz counters, tile backsplash, ss appliances including 5 burner gas stove & hidden trash drawer. Open layout makes for easy living & entertaining as you flow from the kitchen to dining room to living room and out to your own private patio! Magnetic screen door allows for lovely summer breezes without any pests. Tremendous amount of storage in abundant closet space - 2 double closets in 1 bedroom, walk-in closet in the other and lots closets thru out. Laundry in pantry off kitchen. Heat (3 yo) and hot water heater (4 yo) are both by gas & central air conditioning too! 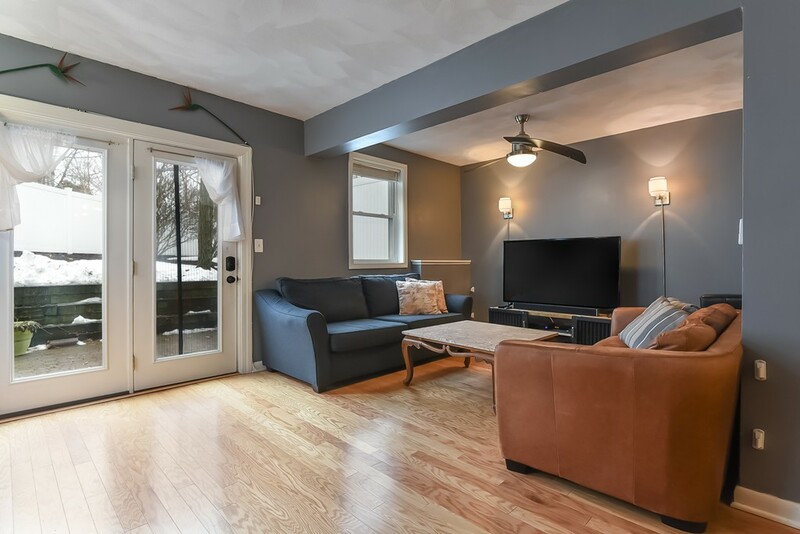 Quick stroll to wonderful dining, shopping, weekly Farmer's Market (spring-fall) and the Roslindale Village commuter rail stop or quick bus ride to Forest Hills T station. First showings at OPEN HOUSES SAT 1/20 12-2 & SUN 1/21 11-1. Please Park on Florence and walk down Marion St. OFFERS DUE NOON 1/22/18.